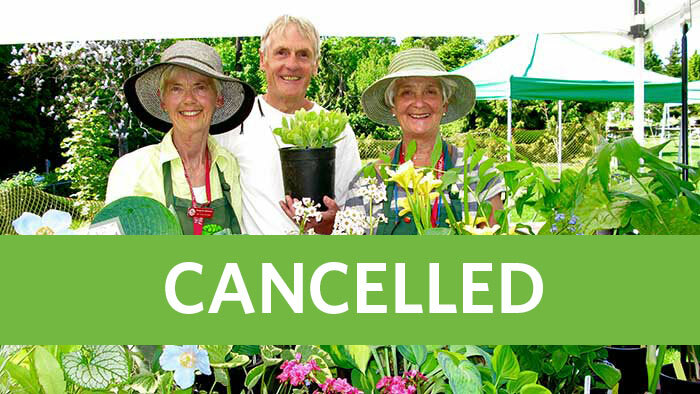 A Growing Affair 2017 has been cancelled and has been replace by our Down to Earth event, May 13. Hi Janis – It’s great to know that you have such a connection to our Garden. We hope you can come out to Down to Earth; there will still be plants for sale – lots of maples, vegetables, herbs and perennials. As you mention, young people are into gardening but have smaller spaces to contend with, so this event’s special focus will be on gardening for small spaces and containers. And it’s free! Hopefully you can enjoy your Mother’s Day by coming out and being with others who love gardening as much as you do. This makes me so sad. I’ve been attending this sale with my kids since its beginnings as a Mother’s Day treat. Most of the plants in my garden that I love I bought at this sale. I understand that the volunteers are getting older, but so many young people seem to be into gardening these days, it’s too bad we can’t recruit them to do the lion’s share of the work. Hi Barbara – yes, it’s a sign of the times. People aren’t buying large homes and instead have smaller plots of land and/or condos, so Down to Earth will really focus on gardening in small spaces or containers. We hope you can come on May 13 and enjoy the day! Hi Trevor – Don’t fret, we will still be having an event on that day, it’s called Down to Earth. The focus will be more on education, workshops and demonstrations. We’ll still have some plant sales, but that will not be the main focus. I’ve also forwarded your note to our Volunteer Department; it’s great if you want to volunteer! We are always looking for passionate, committed people to help us out! That’s very sad. If you ever need volunteers for event planning, PR, Marketing, I’ve got lots of life in me and this sale is one of my faves. Hi Shirley – A Growing Affair is a tremendous amount of work for the volunteers involved, all of whom are getting older. The set-up and logistics can be very difficult and tiring for them. But don’t fret, we will be holding an event this year! It will include some plant sales, but the focus will be on education, demonstrations, tips & advice from our volunteers. What our Friends of the Garden do best is share their knowledge and passion for gardens with others, so we hope you can come to our new event (name to be announced soon) and see for yourself! This was my favourite sale, one I looked forward to all year. Why has it been cancelled?